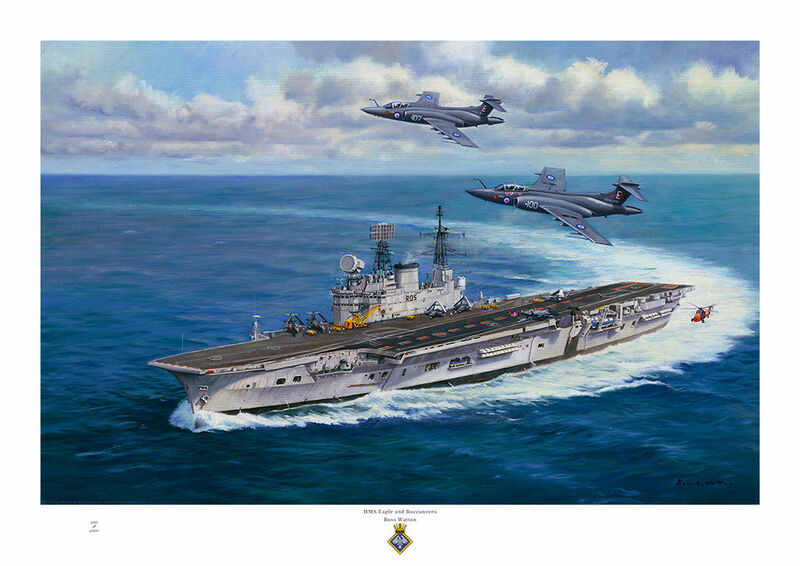 HMS Eagle (R05) was a fleet carrier of the Audacious class, built by Harland & Wolff. She was launched on the 19 March 1946 and commissioned on the 1 October 1951. Between 1959 and 1964, she was extensively modified to operate the heavier jets, like the Buccaneer. She is pictured during the early 1970's. At this time her length was 803 feet, with a standard displacement of 44,000 tons and a speed of 30 knots. She paid off in 1972 and eventually scrapped in 1978.